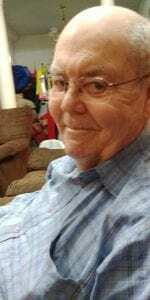 Gerald O. Bronstad, age 80, passed way Wednesday, May 23, 2018 at the home of his grandson in Beeville, following a series of health problems. Gerald was born April 13, 1938, the son of Orville and Clarice Thompson Bronstad in Clifton. He retired after more than 50 years as an educator, the majority of which was spent as a band director. He also taught history and a number of other subjects. He married Carol Hubble on June 1, 1963 in Medina. The couple relocated several times depending upon where his career took them. Gerald was preceded in death by his parents and his wife of over fifty years, Carol. Survivors include his daughters, Melody Payne and husband, Scott of Woodsboro and Becky Jenkins and husband, Glenn of Meadowlakes; sons, Gerald “Jerry” Bronstad Jr. and wife, Laura of Portland and Troy Bronstad and wife, Jenna of Jourdanton; sister, Carol Ann Pitts of Clifton; nine grandsons; two granddaughters; and eight great-grandchildren; as well as many extended family members, dear friends and many former students. A visitation took place Sunday, May 27, 2018 at Grimes Funeral Chapels of Bandera from 1 – 2 p.m. followed by a service at 2 p.m., Rev. William “Bill” Moseley officiating. Pallbearers were Nicolaus Payne, Jonathan Payne, Derek Jenkins, Cristopher Payne, Conner Payne, Devin Jenkins, Blade Bronstad, Sterling Bronstad, and Dalen Jenkins. Honorary pallbearers were Kendall Bronstad and Savannah Bronstad. Interment followed at West Prong Cemetery in Medina. Those who desire may make memorial gifts to Our Savior’s Lutheran Church of Bosque County, 152 County Rd. 4145, Clifton, TX 76634.